Massive Mobile Window Tinting takes care of any size or type of window your RV has. We can tint anything from small windows in the bathroom being tinted for privacy to large windows to help keep you and your family cool on summer trips across the country. Tinting windows has multiple worthwhile benefits for those traveling in RVs or a full time RV dweller trying to find ways to keep their mobile residence cool and energy savings high. Window tinting will pay for itself quickly when one considers how much is saved on air conditioning and cooling systems by the typical RVer in a hot climate like Winter Park, Florida. The siding on many RVs is a heat-trapping nightmare, as it is made of aluminum and other heat heat-conductive metals. Many people invest in higher quality windows, like double pane vinyl windows–which can run several thousand dollars for the job. 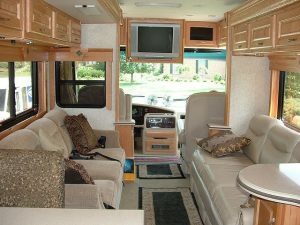 While these reduce some of the solar impact on the RV, window tinting boosts even the performance of these expensive replacement windows and can be a temporary solution for those who cannot afford aftermarket windows right away. Window tinting also provides a level of privacy that those with large windows looking into their private living spaces absolutely need. For RVs and homes, you can customize your tint with a reflective outer shell so that those looking in see themselves instead of you. Your RV window tints can be further customized with a range of color options. Our technicians tint your RV windows complying to all legal industry standards. 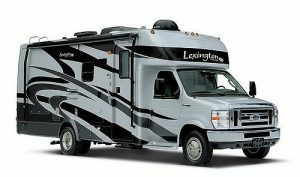 Road vehicles, such as RVs with built-in engines, are required by law to allow a Visible Light Transmission (VLT) of 28% for front side windows and at least 15% on back windows and the rear window. We consult and follow the manufacturer’s guidelines for all windshield tinting. Please contact us for all your RVs window tinting needs in Winter Park, FL and Orange/Seminole Counties.